We learn about identity management, seamless travel at the airport, and the work of the SITA Lab. 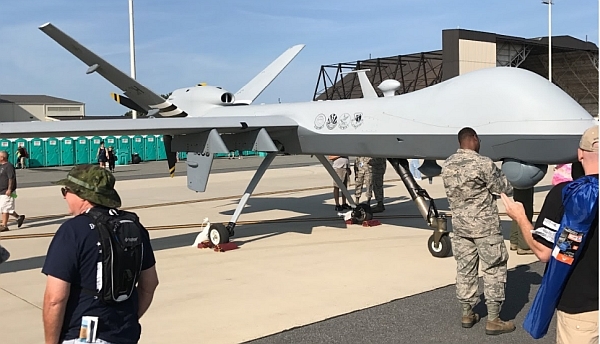 In the news: rogue drones at airports, impacts on aviation of the government shutdown, Generation 2 of the Cirrus Vision Jet, and USAF acceptance of the first KC-46 aerial tanker. Sherry Stein, SITA LAB identity management. Sherry Stein leads the identity management program at SITA Lab, the strategic technology research arm of SITA. Sherry has over 20 years of experience in travel technology, and she has a passion for business transformation and technology innovation. We explore the concepts of “seamless travel” and the “autonomous airport” through the advancements in airport technology that passengers can take advantage of today. That includes biometric identity management, passenger service robots, artificial intelligence, wearable devices, and single token travel through virtual or digital passports. SITA is an air transport IT and communications specialist. SITA’s information and communication technology solutions are used by airlines, airports, ground handlers, governments, air cargo, air navigation service providers and other organizations. Follow SITA on Twitter at @SITAOnline, on Facebook, and YouTube. The recent spate of rogue drone incursions has been a wake-up call for airports. A few drone flights into the airspace can have a hugely disruptive impact on airport operations. Counter drone technology is available, but airports aren’t able to immediately make them operational. Some TSA agents are calling in sick and airports are responding to the reduced security manpower. The National Air Traffic Controllers Association (NATCA) filed suit against the US government claiming its members are being unlawfully deprived of wages because of the partial government shutdown. The lawsuit also alleges violations of the Fair Labor Standards Act. Cirrus Aircraft has received FAA certification for the Generation 2 (G2) version of its Vision Jet. New features include a higher maximum operating altitude, autothrottle, lithium-ion main-ship batteries, upgraded avionics, new cabin appointments, and additional paint schemes. The U.S. Air Force has accepted and took ownership of its first Boeing KC-46A air-to-air refueling tanker, but did not take delivery. 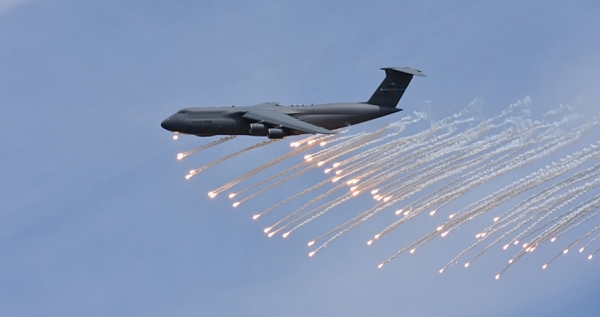 The Air Force is still not happy with the “remote vision system” for operating the tanker’s refueling boom. Eat at the Airport – Map of airports with eating establishments. 2019 You Can Fly Challenge opens: Ray Foundation offers $2 million in matching funds. For more information or to make a donation toward the Ray Foundation matching challenge, visit the AOPA Foundation website. This entry was posted in Episodes and tagged Airport, Cirrus, NATCA, SITA, Tanker, TSA on January 16, 2019 by maxflight. Social and technology changes at airports, including ridesharing, facial recognition, and carry-on screening. Also, the recent AAviation Day with American Airlines, working the de-icing pad, airport outreach, and stairs trucks. In the news, Norwegian wet leases an A380 and Southwest issues a policy for trained service animals. Jennifer Adams combines her experience in accounting with her passion for aviation by working in the accounting and finance department of a mid-sized midwestern airport. When she’s not paying the bills and sending invoices to airlines, you can find her helping out on the de-ice pad, plane spotting, and getting unreasonably excited about stairs trucks. Jennifer reports on her experience at the AAviation Day event with American Airlines and Airline Geeks at PHL. The annual event takes place at a number of airports in conjunction with National Aviation Day, held August 19 each year to celebrate the history and development of aviation. Jennifer gives us insights into the impact at airports of social and technology changes, such as the rise in the use of ridesharing services and changing airport security methods. We look at some statistics that characterize the growth in airport passengers and the cargo business and hear about some of the factors that facilitated the change. Jennifer describes examples of good airport outreach, and her experience training to manage the de-icing pad. And of course any conversation with Jennifer is incomplete without talking about stairs trucks, and we don’t disappoint. Jennifer blogs about her aviation adventures at Tales From the Terminal. Follow her on Twitter at @Jen_Niffer. Orlando International Airport is using facial recognition technology for all arriving and departing international travelers. The program comes from a partnership with U.S. Customs and Border Protection and SITA, a private cyber security company. Passengers stand on a yellow footprint and a camera takes an image which is then matched against the CBP passport photo database. The system offers security and processing speed advantages. The Transportation Security Administration (TSA) is testing a new x-ray machine for carry-on bags. If the tests are successful, removing liquids and electronics from bags may become unnecessary. The promise is that explosives could be detected inside the bags. Fifteen airports are testing the device. With limited curbside space at Dallas-Fort Worth Airport arrivals, the increased popularity of ridesharing services, and the length of time some people park outside arrivals, a significant traffic problem is created. DFW is responding with some changes. Norwegian is negatively impacted by the Trent 1000 engine problem on their Boeing 787s. In response, the airline has been leasing an A380 from Hi Fly to cover their evening London-New York service. Stinar SPS-3518 Passenger Stair Truck, 96-228″ – on offer from Aero Specialties. 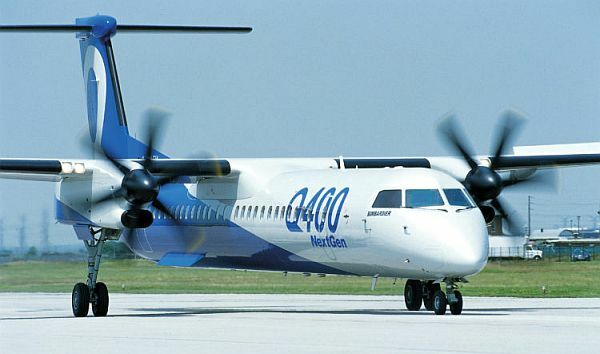 Asking the right questions after a q400 is stolen, in The Air Current by Jon Ostrower. This entry was posted in Episodes and tagged Airport, Airport security, American Airlines, Norwegian, Southwest on August 22, 2018 by maxflight. We talk about electric aircraft, automation, and new technologies in aviation with the Vice President of Global Innovation and Policy for the General Aviation Manufacturers Association. Also, airport access for general aviation, a GAMA jobs rally, the Department of Defense receives more aircraft than they asked for, a proposal for increased air cargo security, and interviews from South by Southwest with an astronaut and with the EAA. Greg Bowles is the Vice President of Global Innovation and Policy for the General Aviation Manufacturers Association (GAMA). Greg is responsible for identifying key technology opportunities and developing critical paths to success which will evolve the global safety, efficiency, and success of aviation. Greg is in a unique position to talk about electric aircraft technology, regulatory changes, and other new aviation developments that impact the industry, pilots, and the general population. We discuss the state of electric propulsion, battery energy density, hybrid aircraft, and the rapid emergence of eVTOL electric aircraft. Greg illustrates some of the new options that electric power allows, and explains how the interaction between the human pilot and the technology has licensing and training implications. Greg sees a future where simplified vehicles open up aviation to a broader audience. Greg leads the GAMA Electric Propulsion and Innovation Committee (EPIC) which represents the world’s leading aviation mobility development companies along with traditional aviation manufacturers as this community strives to enable new kinds of public transportation through the air. He also leads the worldwide design standards committee that is chartered to develop globally acceptable means of compliance for general aviation aircraft. Greg has been an advisor to several long-standing ICAO panels and he’s the industry co-chair on the FAA’s Part 23 Reorganization ARC which has developed the rewrite of FAA part 23 regulations to assure they will address aircraft of the next twenty years. Alpha Electro 2-seat electric trainer. Courtesy Pipistrel. Before he joined GAMA, Greg worked as a certification engineer at Keystone (now Sikorsky) Helicopter, and he was a design engineer at Cessna Aircraft Company (now Textron Aviation). Greg holds a Bachelor of Science degree in Aerospace Engineering from Embry-Riddle Aeronautical University and a Master of Business Administration degree from Webster University. He is an active instrument-rated general aviation pilot. Visit the GAMA website, and follow them on Twitter, Facebook, Instagram, and YouTube. In the U.S., most airports have Fixed Base Operators (FBOs) which provide many services to general aviation, including fuel and parking. Changes in the FBO customer base may have implications for general aviation. The General Aviation Manufacturers Association (GAMA) is planning a jobs rally on in Olathe, Kansas, April 6, 2018, at the Garmin International Warehouse and Distribution Center. The event will feature government and industry leaders who will discuss the economic contributions of aviation, investment in products, the future workforce, and the promotion of STEM. The U.S. Government spending bill signed by the president on March 23, 2018, included 143 aircraft above what was requested by the Department of Defence. These include Lockheed Martin F-35 Lightning II fighters, F/A-18 Super Hornets, KC-46A tankers, and Lockheed C-130 Hercules aircraft. We look at the reasons for this and the implications. The Act passed the House by voice vote and goes to the Senate. If enacted, the TSA Administrator would establish an air cargo security division which would conduct a feasibility study on expanding the use of computed tomography (CT) technology for screening air cargo transported on passenger aircraft, followed by a 2-year pilot program. At South by Southwest in Austin Texas, Airplane Geeks Reporter-at-Large Launchpad Marzari spoke with astronaut Dr. John Danny Olivas and Andy Ovans from EAA headquarters. Student pilot Nicki provides an update on her flight training and tells us about a recent episode with her flight instructor. This entry was posted in Episodes and tagged air cargo, Airport, EAA, electric, GAMA, military, NASA, Qantas, security, Southwest on March 28, 2018 by maxflight. We talk with an airport planner who also co-founded an organization for innovation in aviation. In the news, we discuss a very old paper travel voucher and how the airline reacted when it surfaced, a study of bacteria and fungus in the terminal and on aircraft, expensive refrigerators for Air Force One, and a donation by nine airlines to the Smithsonian National Air & Space Museum. We also look at BA and their latest change to the passenger experience in short-haul flights, the Qantas challenge to Airbus and Boeing, and a conversation with the Chief of the Air Traffic Control Division at Robert Gray Army Airfield about ATIS. Chris Groh is an airport planner who works with airports of all sizes across the country, but his specialty is general aviation airports and even more specifically, smaller general aviation airports. As an airport planner, Chris acts as an extension of the airport’s staff, and he helps them think about the future while they focus on the day-to-day operations. Chris says that GA airports are always fun because the staff is usually smaller, but so are the budgets so projects have to be carefully prioritized and typically require more creative solutions. Chris co-founded an organization for innovation in aviation called Runway.VC. It attempts to broaden and freely distribute the conversations about aviation technology to a wide audience. It also seeks to facilitate networking and real-time interaction between professionals who are interested in the future of aviation but may not have access to conferences and other channels of discussions about innovation in aviation. Besides online activities, Runway.VC has plans for local meetups across the country. Chris also hosts his own podcast about the future of aviation. Visit the Runway.VC and Kutchins & Groh websites, listen to the Runway.VC podcast, and follow @runwayvc and @chrisgroh on Twitter. 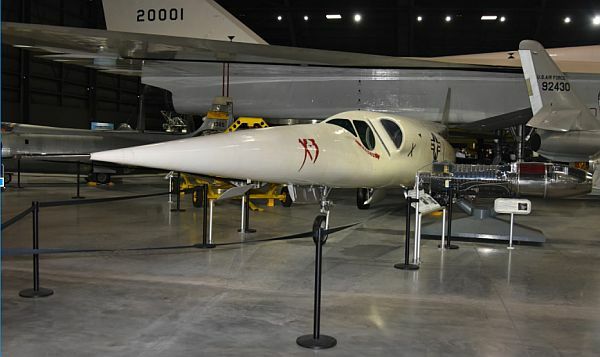 Nine commercial airlines have joined to donate $28 million to the Smithsonian’s National Air and Space Museum to support the renovation of the “America by Air” exhibition. Qantas Boeing 787-9. Qantas photo. PaxEx Podcast #54: Catering giant serves up wisdom on compliance with Mark Naylor, Head of Compliance for Gate Gourmet in Oceania. Gate Gourmet is the world’s largest provider of airline catering and onboard products and services. This entry was posted in Episodes and tagged Air Force One, Airport, BA, health, NASM, United Airlines on February 7, 2018 by maxflight. We talk with the three high school students who won the EAA Founder’s Innovation Prize competition for 2017. In the news, we look at the decline in short haul traffic in the US, how the US Air Force is responding to the flight crew shortage, using airport data to improve efficiency, the grounding of the MRJ test fleet, and AOPA taking action against egregious FBO charges. 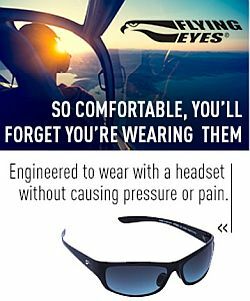 Thomas Baron, Max Lord, and Justin Zhou won the 2017 EAA Founder’s Innovation Prize with their “Remora System” which takes sensor inputs and displays airspeed and angle of attack on a head-mounted display. All three are seniors at the Thomas Jefferson High School for Science and Technology in Northern Virginia. The students explain their system which places the sensors in a pod under the airplane and transmits data which is displayed in a Vufine high definition wearable display. We talk about how the project started, and how it came to be entered in the EAA Founder’s Innovation Prize competition. The EAA Founder’s Innovation Prize was presented by Airbus and leveraged the creativity of the EAA community to solve specific challenges facing general aviation. The competition was featured at AirVenture Oshkosh where five finalists presented their ideas. 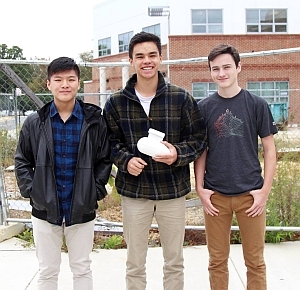 See Three High School Students Awarded Founder’s Innovation Prize, the Remora Systems website, and their Facebook page. The Shark with sensor pod. Jonathan Baron and the head-mounted display. Courtney Miller discusses three theories why U.S. short-haul traffic under 500 miles has declined by almost 30% since 2000 while the total U.S. domestic market has grown almost 30% since then. 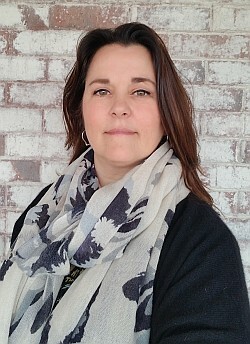 Courtney is Director, Lessor Sales at Bombardier Aerospace. The U.S. Air Force faces an aircrew shortage and is increasing incentive pay to try and improve the situation. In June, the Air Force expanded Aviator Retention Pay with a new Aviation Bonus Program. Copenhagen Optimization is using mathematical models and data to help airports optimize their activities. Waiting time was reduced by more than 50% at Geneva Airport in Switzerland, passenger throughput increased by 10% at Dublin Airport, and peak in check-in counter demand was decreased by 5.5% at Stockholm Arlanda. Mitsubishi has four U.S.-based MRJ flight-test airplanes. The left engine on FTA-2 experienced an uncommanded shutdown and the plane was diverted to Portland International Airport where it landed “without incident.” The engine has been removed and sent to Pratt & Whitney for inspection. Virgin Atlantic helps a family of four enjoy a memorable flight from London Gatwick to Orlando, especially for the two daughters aged 10 and 12. Glen gives us some thoughts on the Embraer KC-390. For background, see Embraer and Boeing to collaborate on worldwide sales, support of KC-390 medium airlift. The OLC website lets sailplane, paraglider, and hang glider pilots from all over the world upload their flight tracks. It’s competitive and there are several categories of competitions and most are based on distance. See Help… How things work in OLC? And All Flights of Jim Payne which shows Jim Payne’s flights from the Perlan 2 project. This entry was posted in Episodes and tagged air show, Airport, EAA, EasyJet, glider, MRJ, pilot shortage, Virgin Atlantic on August 30, 2017 by maxflight. We talk with Stephen Pope, the Editor-in-Chief of Flying magazine. In the news, we look at a United Airlines computer problem, tracking passengers moving through the airport, the search for MH 370 concludes, ADS-B capable satellites, the latest Mitsubishi MRJ delay, B-2 bombers fly a 30-hour mission, testing tiltrotors, a possible lead in the 1971 hijacking by D.B. Cooper, and a tribute to Gene Cernan. 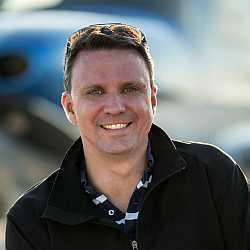 Stephen Pope is Editor-in-Chief of Flying magazine. We talk about Light Sport Aircraft, third class medical reform, and flying with the Garmin G1000 NXi. Steve also explains how Flying is changing its look, content, website, and e-news product to compete with digital aviation news outlets. We also get some good suggestions for those who might consider aviation journalism as a career choice, either full-time or freelance. 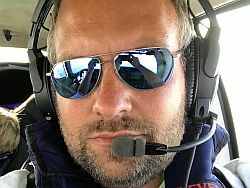 Steve is an award-winning aviation journalist and commercial pilot with multi-engine, instrument, and seaplane ratings. He has been writing for aviation magazines for more than 20 years on a wide range of flying topics. Steve learned to fly at age 15 in a Piper Cub at Trinca Airport, a small grass strip in northern New Jersey. He worked as a line boy at the 60th Street Heliport in New York City and for First Aviation at Teterboro Airport. After soloing at 16, earning his private pilot’s license at 17, and gaining his instrument rating a year later, Steve enrolled at the University of Maryland as a journalism major, where he received his degree and completed an editorial internship with AOPA Pilot magazine. 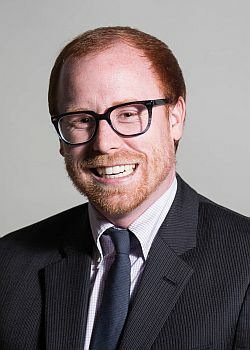 After graduating, Stephen joined the editorial staff of Aviation International News, a business aviation trade magazine. 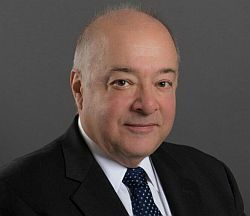 During his 15 years with AIN he moved up the ranks to become Senior Editor directing avionics and technology coverage, Editor-in-Chief of Convention Publications and, in his last role with the company, Editor-in-Chief of Business Jet Traveler magazine. He joined the staff of Flying in 2010. Steve has won seven Aerospace Journalist of the Year awards, including being named overall Aerospace Journalist of the Year in 2007. He has also won three NBAA Gold Wing Journalism Awards and has written for Barron’s, The Wall Street Journal, and many other publications. A computer problem with Aircraft Communications Addressing and Reporting System (ACARS) temporarily grounded all domestic United Airlines mainline flights. The recent successful SpaceX Falcon 9 rocket launch put the first 10 Iridium Next satellites into low-Earth orbit. Each satellite carries an ADS-B receiver to be part of Aireon’s global ADS-B-based aircraft-tracking system, operational by the second quarter of 2018. In its January 23 press release, Mitsubishi Heavy Industries announced “that MHI and Mitsubishi Aircraft Corporation will adjust the first delivery of the Mitsubishi Regional Jet (MRJ) from mid-2018 to mid-2020. The change is due to revisions of certain systems and electrical configurations on the aircraft to meet the latest requirements for certification.” See MRJ’s Latest Development Status and the Advancing the MRJ project PDF. Two U.S. Air Force B-2 Spirit bombers flew a long-duration mission from the 509th Bomb Wing at Whiteman Air Force Base. NASA’s Ames Research Center in Silicon Valley, California is preparing for the first functional trial of a new Tiltrotor Test Rig. New Lead on D.B. Cooper — May have Worked for Boeing! New clues may point to the identity of the 1971 hijacker who disappeared with the ransom money, never to be found. Rob Mark takes a look at the Aireon launch and aircraft tracking. Our Main(e) Man Micah brings us God Bless You Gene Cernan. This entry was posted in Episodes and tagged ADS-B, Aireon, Airport, B-2, Cirrus, Garmin, General Aviation, MH 370, Mitsubishi Regional Jet, United Airlines on January 25, 2017 by maxflight. We continue our discussion of airport topics and look at the airport master planning process. We also talk a lot about the TSA and airport security, as well as psychological testing for airline pilots, a military export control conviction, and a personal experience in a full motion flight simulator. 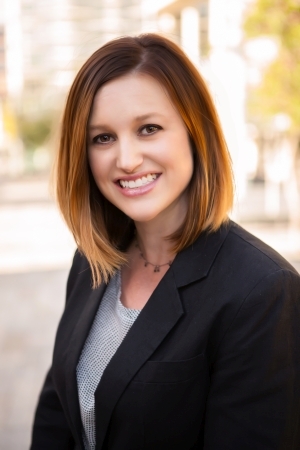 Jenny Watts, Airport Planner, Armstrong Consultants, Inc.
Jenny has more than eight years of experience with aviation planning, corporate aviation operations, airport administration, and aviation education. Jenny has worked at large commercial service and general aviation airports in the Phoenix-Metro area, and directly contributed to operations, community relations, planning, and business development. Jenny spent two years at Embry-Riddle Aeronautical University Worldwide as an advisor and adjunct faculty member. 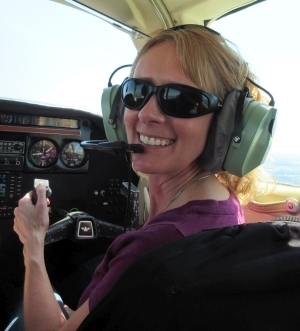 She earned her Bachelor of Science in Aeronautical Management Technology Arizona State University, and her Master of Aeronautical Science degree with an emphasis in Aviation Management from Embry-Riddle. She has been affiliated with the Arizona Airports Association for over fifteen years, and Jenny is also a freelance contributing writer for the Arizona Aviation Journal. Wenxia “Wency” Man of San Diego, has been convicted by a federal jury in the Southern District of Florida of “conspiring to export and cause the export of fighter jet engines, an unmanned aerial vehicle… and related technical data to the People’s Republic of China, in violation of the Arms Export Control Act. technical data for each of these defense articles. Man faces a statutory maximum penalty of 20 years in prison. Sentencing is scheduled for Aug. 19, 2016. Administrator Michael Huerta says the FAA will not require psychological testing for airline pilots because he says they only indicate the pilot’s mental health at a point in time. The tests don’t indicate what a pilot may do later. A man tossed a homemade explosive device at the check-in counters at Shanghai Pudong International Airport, then cut his throat with a knife. Dubai International Airport was closed due to “unauthorized drone activity.” In the UAE, drones are prohibited within 5 km of airports, helipads, landing areas, or manned aircraft. Warsaw’s international airport was shut down for 30 minutes due to two unauthorized drones flying in the area. Poland forbids drones flights within a 20-kilometer (12-mile) radius from airports. Know Before You Fly – An education campaign founded by the Association for Unmanned Vehicle Systems International (AUVSI) and the Academy of Model Aeronautics (AMA) in partnership with the Federal Aviation Administration (FAA) to educate prospective users about the safe and responsible operation of unmanned aircraft systems (UAS). DHS Comparison Chart – This chart outlines the Trusted Traveler programs offered by the Department of Homeland Security. This entry was posted in Episodes and tagged Airport, Airport security, China, Pilot, TSA on June 15, 2016 by maxflight. A look airport operations from the back office, rebates for ADS-B installations, bigger A380’s, airlines fighting over Open Skies, the history of the missing man formation, and a Delta trip report. Jennifer Adams works for the accounting department of a medium-sized airport in the midwest and she gives us a peek at some of the activities in the “back office.” Jen tells us about the sources of revenue for the airport, such as landing fees, rent, and long-term parking. She also gives us a look at some of the airport’s costs, which range from navaid maintenance and de-icing chemicals, to toilet paper and vet bills for the dogs. Jen also explains the many statistics that must be recorded, such as landings, aircraft weights, passengers enplaned and deplaned, cargo, and mail. 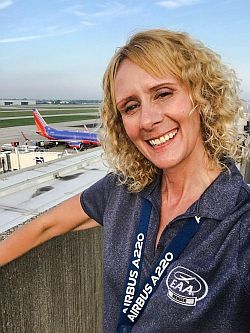 A passionate avgeek, when Jennifer isn’t buried in spreadsheets or calculating landing fees, she spends her break time plane spotting and talking about aviation with anyone who will listen. 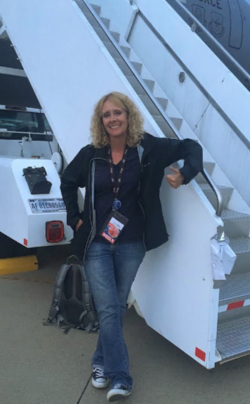 In her blog “Tales from the Terminal,” she shares stories about her adventures in aviation, her love of the airport, and her not-so-secret desire to own a stairs truck. The FAA says they will offer rebates to aircraft owners who install ADS-B Out systems, but there are some limits to the program. The $500 rebate will only be available to the first 20,000 owners of single-engine piston aircraft who apply, and just for a one year period. There is a new plan to increase the A380 seating to eleven in a row, up from the current ten. This would add 60 more seats to the super jumbo. Meantime, Emirates president Tim Cook has conceded that a re-engined “A380neo” looks unlikely. Qatar Airways, Emirates, Etihad, and Delta Air Lines do not see eye-to-eye when it comes to international agreements. Delta believes the Middle Eastern carriers benefit from subsidies that are a violation of U.S. Open Skies agreements. The conversation amped up with the Qatar Airways inaugural flight to Atlanta. Reportedly, Qatar had been told that a gate would not be available for their A380 and it was occupied by a Delta jet. Qatar flew in anyway, and the deplaning passengers had to be bussed to the terminal from a remote parking location. David talks about the recent Blue Angels and Thunderbirds accidents, and how they have been reported, but he also provides a somber history of the Missing Man formation, which was flown in honor of Blue Angel #6 Capt Jeff Kuss, USMC. Brian sent in a Delta trip report, and tells us why Basic Economy might not be right for the frequent flyer. This entry was posted in Episodes and tagged A380, ADS-B, Airport, Blue Angels, Delta Air Lines, Qatar Airways, Snowbirds, Thunderbirds on June 8, 2016 by maxflight.